Verdant opens citrusy and green and bright, and then quickly turns dark and dirty — not animalic / skanky, but dirty, as in the smell of warm dirt, and lots of it, still very green. I do not know what aromachemicals were used here2 — Tauer lists the notes as dewy leaves, suave leather, brown tobacco, sweet earth and vibrant amber — but the finished results have a strong vetiver character in the early stages: green, warm, earthy. As Verdant develops, that's overlaid with smoky nuances and a touch of dry tobacco leaf. It is not a leather bomb by any means, but as it continues to warm on skin, it does take on the slightest touch of something animalic, and the whole thing is deep and rich and smooth. Will you like Verdant? Well, that depends on how much you like green and smoky. Verdant is not a light, summer-y sort of green, as in Chanel Bel Respiro or Martin Margiela Untitled (certainly those of you who found Untitled too harsh might find Verdant hard going), nor is it a bury-me-in-greenery, straight-up sort of green, as in Gobin Daudé Sous Le Buis or vintage Balmain Vent Vert. It's murkier, something more like a greenish-brown, and it's not as easy to categorize (or as linear on skin) as you might expect from such a pared-down list of notes. I like it very much; it's my favorite Tauer since Incense rosé. Verdant is a unisex fragrance, and the lasting power is very good. Tauer Perfumes Verdant is available in 50 ml Eau de Toilette. It is exclusive to Campomarzio 70 (and can be ordered via email) in Rome until September; after that, for buying information see the listing for Tauer Perfumes under Perfume Houses. 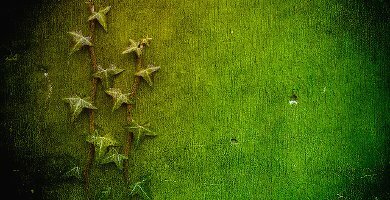 Note: top image is Ivy on Green [cropped & brightened] by dalesmithimaging at flickr; some rights reserved. 1. Both quotes in the first paragraph via Swiss Mix at the LA Times Magazine. 2. I will make only one guess, and that is that it might contain my old friend iso e super — what's left on skin after a shower smells very much like. But this is not a parlor game that I'm good at. Robin, did you prefer Incense Rose to Une Chypree Rose? I haven’t tried the latter. B.f really likes Incense Rose on me, but for some reason it puts me in mind of a crumbling statue of an angel. Its a cold, somewhat deathly meditative feel. I’m wondering if I would prefer UCR. Also, I’m wondering, since others like it, if maybe its sometimes worth smelling like a mouldering monument to some or other chilly, and eternal Truth! Merlin – you must smell URC! I don’t have any at the moment or I would hook you up. It’s a gorgeous, voluptuous rose. I highly recommend it. I will! Simply too much excitement over it for me to pass by. But I was wondering whether anyone had the same reaction to IR? I think Incense Rose is my favorite Tauer, but URC and LADDM are really close. URC is richer and deeper in hue, with more bergamot and spice. Yes, I much prefer Incense Rose. Interesting. Sorry for the diversion in topic! I like both URC and IR. I think IR is much more me – darker, spicier. URC is great as well… like a stewed rose. I don’t know if that makes sense but that’s how I experience it. Almost food-y. But I think I like the ‘crumbling statue’ aspect of IR a bit more. I think a lot of people get churchy, tomb, crypt-type associations with various combinations of incense and earth. It all depends on how goth you are if you like that kind of thing! People rave about how Messe de Minuit smells like a moldy tomb or crypt and they love it for that. It’s not for me, but then lots of things aren’t. I’m very picky about rose fragrances and UCR is one of my absolute favorites. But I also like the “crumbling statue of an angel” (perfectly said!) aspect of Incense Rose, too. And, let’s face it, I’m a big Andy Tauer fan, as well. I am dying to try the Pentachords. I hope he has a sample set when they go up on his site. Unfortunately, but perhaps understandably, it seems like he is trying to move away from selling samples on his site. The new purse flacons could be great though as I can’t really afford in the investment in a full bottle of Tauer right now. But there are still lots of samples for sale on his site — has he said he was going to stop selling them?? He’s been blogging over the last few weeks about how the spray samples he’s selling aren’t very cost-efficient for him and are a lot of work. For the new Tableau de Parfums line he’s doing, he will only be doing dab sample vials, but he’s also introducing a 7 mL purse spray for that line. I hate, hate, hate with a fiery passion dab sample vials, but if the 7 mL purse sprays are priced right, it might work out for the better of my purse anyway. So I guess, no, he hasn’t said he plans to quit offering samples on his main brand, but I’m a bit concerned that he’s thinking about it. Although if he introduces a purse spray there too I might forgive him. Ah, I missed all that — many thanks. Yes, I really hope he does not phase out the spray samples. Were it not for his sample sets, whcih are incredibly good value, I would not have been able to explore this line much at all. 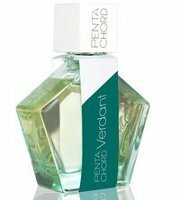 As it is, I have sampled all fragrances on the market at the moment except the Pentachords. I am saving for a FB purchase. It has always seemed to me Tauer Parfums have an edge over other niche lines because they make it so easy to sample. Hopefully any loss made on the spray samples is recouped on FB sales? As soon as I read ‘strong vetiver character’ and the words, ‘green’ [which I expected, since it’s called Verdant – hello] & ‘dry” – I thought you would like this! I guess I’ve been reading your reviews long enough now to have an idea of what appeals to you! I would love to try this at some point. And I am sad at how close to September it is already…summer goes by so fast! But you’re right, it’s a long wait for a perfume. This sounds interesting. I’m yet to fall in love with a Tauer fragrance and I can usually take or leave green most scents but any mentions of vetiver, leather and tobacco make my ears prick up. Thanks for the review, Robin! This is not one of those grassy/herbal greens — maybe it will work for you, who knows. Thanks for the review! I am really looking forward to these and can’t wait for them to come around. I’m slightly behind on Andy testing – still haven’t tried Zeta! I was going to get more samples when I bought Carillon and then someone gave me a bottle (poor me, right? talk about a White Whine). I’ll figure it out – I tend to prefer ordering directly from Andy when I can. Tama, remind me– I’ll share some Zeta with you. It lasts all of two seconds on me. Rumor has it I’m not the only one. Kind of shocking for a Tauer. I can get two days out of CPUA, easily. Is this anything like Onda? I’m dying to try all three of these Pentachords, but especially looking forward to White. I hope I don’t fail in love with all three, that would be disastrous for my wallet! Good question, have not tried Onda for some time. IIRC, Onda is way more conventionally a vetiver fragrance — “about” vetiver from beginning to end — and spicier. Yes, thanks for the review. I’m curious, but I don’t know how this will work for me… I’m more smitten by the Vent Vert type of green, though I’m pretty fickle. Any idea how much these are retailing for? (I guess I can click through… sorry!). I’m most curious about the White one I think… supposed to be an iris scent? I’ll definitely want to sniff Verdant at some point though. I really love Tauer. I loved Carillon and own at least decants of several others. Around $140, but haven’t yet seen them for sale so can’t be sure. The White one is iris, yes, and very clean. Have only tried it once so far, need to wear it a few more times. I’ll try all that Andy does but so far URC is my Holy Grail and I kinda hope it always will be. In the perfumista world, that’s like marrying your high school sweetheart and decades later still being in love! Robin – your mention of earthy and soil make me wonder how this compares to Black March?? No…this is heavier / smokier / darker, and although Tauer talks about “dewy” leaves and I think mentions something about rain in the description, there’s nothing like water or wetness here to me. Black March reminds me of spring — this doesn’t. I am looking forward to trying these and i did contact Campomarzio 70 via email, but at $180 shipped i can certainly wait for their arrival in the US. Oh dear — thanks for letting us know the price! Robin, you’re so good on choosing pictures!!!! good taste, girl!!! Thank you so much! Although always feel like I must emphasize that I don’t take good pictures, LOL…thank the heavens for flickr. I know that. But it does not reduce your talent to see and choose them. Good taste is also a talent!!! I like this one. It makes me think of working in a garden and reminds me of leaves and roots and the smell of a freshly opened bag of potting soil. That said, as far as wearing it goes, I think it’s a bit too earthy on its own for me, but it’s great for layering. I wore Verdant over the weekend layered with Diptyque Do Son, a tuberose fragrance that I probably also wouldn’t do by itself, and the combination was great! The Verdant gave the tuberose an earthy, green punch that I’m always hoping for in a floral but don’t usually get.